Foot Fairy takes the pain out of shoe shopping with kids. 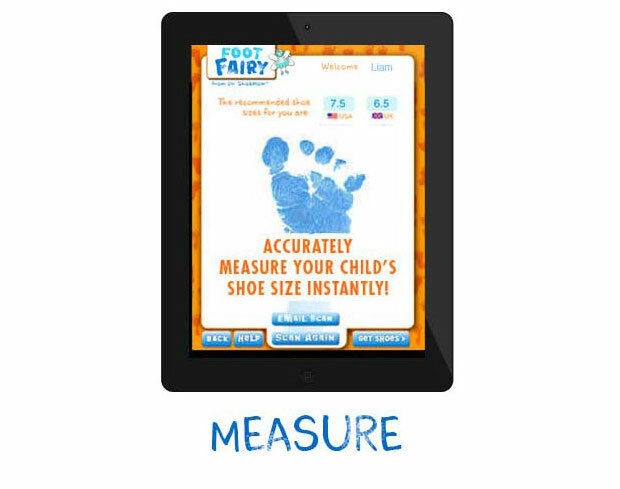 Foot fairy is an app that allows you to accurately measure your child’s foot size in the comfort and convenience of your own home. Simply take your tablet place it on your child’s foot, wait for the chime and presto – your child’s foot size is displayed. You can then go directly to Zappos to a pre-populated page with shoes that will fit your child. The creators of Foot Fairy went into the Shark Tank asking for $75k for a 15% share of the company. Mark quickly offered $100k for 40% which was happily accepted. UPDATE: This company is no longer in business.